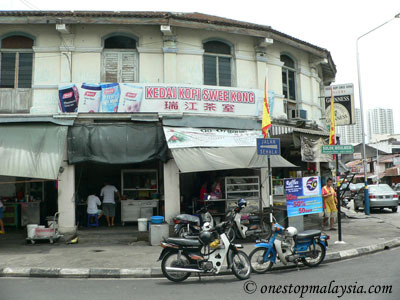 Location: Kedai Kopi Swee Kong, at the junction of Jalan Burma and Solok Moulmein, Penang Island. Getting there: It is located along the Pulau Tikus section of Jalan Burma. 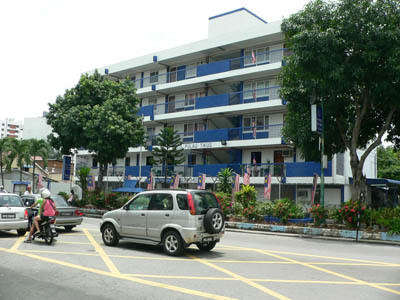 It is directly opposite the Pulau Tikus Police Station, so it is easy to find. Since it opens around noon, parking is not really a problem. This is my family and relatives favourite. Ever since I came to Penang to work, they keep mentioning about it whenever I meet them. Even my grandmother keeps talking about it. The stall serves both Assam Laksa and Lemak/Siamese Laksa. 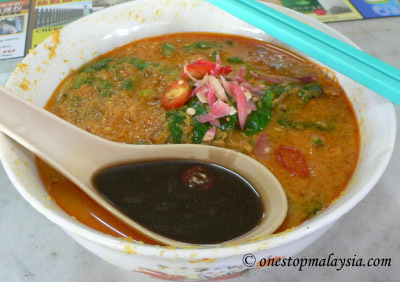 It is famous for its Lemak Laksa, which is a blend of Assam Laksa and Lemak Curry. However, some time last year, the operator of the stall changed. It used to be a lady operating it, but now it is a man. This time I ate it, it seems to have too much santan in it. The noodle is also not really that cooked as it is a little bit tough (some may like it this way). It used to be much better when the lady was operating it. However, it is still not too bad. It serves a nice lunch meal, although one bowl might not be enough. I have not tried the Assam Laksa before, although I heard it is also quite nice. Once thing I found out that it usually tastes better if you go later. When it just open (around noon), the laksa is still a little bit watery. But if you go later, say around 3-4pm, the laksa is really thick and nice. If it is not enough, some other stalls serve quite good food. The Wan Tan Mee is pretty good as well. So is the Mee Goreng.